Rendering of the Elkhart River after removal of the dam. ELKHART (October 30, 2018) – Mayor Tim Neese has announced that the City of Elkhart was awarded a $100,000 grant from the Indiana Department of Natural Resources (IDNR) Lake and River Enhancement (LARE) Program. The grant will assist towards the City’s financial obligation for removal of the Elkhart River Dam. 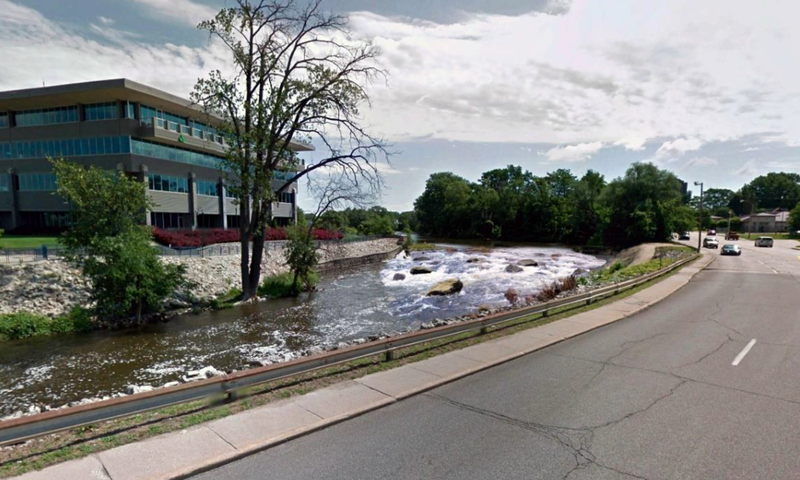 Removal of the low-head dam will open the Elkhart River up to approximately 15 new species of fish and allow for additional recreational use of the rivers in downtown Elkhart. The junction of two rivers, the River District Revitalization Plan prioritized the removal of the dam in order to capitalize on this unique community asset. Specifically, the plan includes river access at Junior Achievement Drive for kayaks and paddleboards, made possible by the dam’s removal. The overall project is aimed at developing a vibrant urban space that complements existing Main Street assets and creates a destination where people want to live. In 2011, as a then member of the Indiana House of Representatives, Mayor Neese authored legislation to allow LARE funds to be used for projects in rivers. Previously, LARE funds could only be used for lake projects, and Neese authored the change as a direct result of feedback received from constituents living along the St. Joseph River. The goal of the LARE program is to protect and enhance aquatic habitat for fish and wildlife, and to insure the continued viability of Indiana’s publicly accessible lakes and streams for multiple uses, including recreational opportunities. The Elkhart project is one of two grants awarded by IDNR to address the removal of low-head dams. The $2 million total project cost will be shared by the U.S. Army Corps of Engineers and the City of Elkhart. With the grant from the LARE Program, the City’s share will be $430,000. This is significantly less expensive than the cost to repair current deficiencies in the dam. The Elkhart River Dam is scheduled to be removed during the fall of 2019. For the latest updates on the River District Revitalization Project, visit www.elkhartriverdistrict.com.